Consciousness of guilt is one of the best prosecutorial devices available to an Assistant District Attorney (Prosecutor) in Pennsylvania or in any other jurisdiction like New Jersey where our criminal defense law firm defends person accused of offenses and crimes. Consciousness of guilt is circumstantial evidence of a crime which most people often fail to understand. Circumstantial evidence, unlike direct evidence, requires the trier of fact (judge or jury) to draw inferences after an event has already occurred. What Type of Evidence Can Create A Consciousness of Guilt Argument? Intimidating a witness or even killing a witness. In a criminal trial the District Attorney or prosecutor can show that this type of conduct was due to a defendant’s criminal conduct and it would have not occurred otherwise. 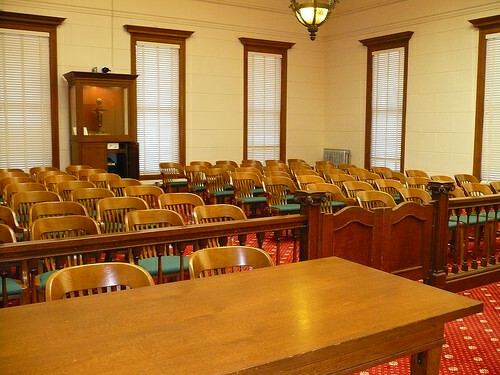 How It Can Hurt Your Chances at a Judge or Jury Trial? Following a criminal trial a judge can give specific instructions on legal concepts such as consciousness of guilt, circumstantial evidence, direct evidence, and adverse inferences. The defendant has presumption of innocence and there is no adverse influence from him not testifying. A judge or jury, however, can draw an adverse inference if a defendant testifies or defendant takes actions prior to trial which imply guilt. The presumption of innocence, adverse inferences, and consciousness of guilt are all good reasons why the best course of action in criminal cases is that less is more. The presumption of innocence argument is powerful instruction to the jury but an instruction regarding consciousness of guilt can substantially damage any defense. It can cause a jury to lose focus and center in on what an accused did following an incident when most people aren’t always in the best frame of mind. It is therefore extremely important that your criminal defense lawyer address conscious of guilt if it becomes a factor in your case. While this concept can become an issue in virtually any criminal case, it often becomes in issue in violent felony crimes such as aggravated assault and robbery. Frequently in these cases, accused persons make attempts to destroy evidence (video surveillance tapes, audio recordings) and sometimes even attempt to contact the alleged victims. We also see this concept in non violent felony and misdemeanor offenses such as possession with Intent To Deliver Illegal Drugs and Narcotics or Driving Under the Influence Offenses. In these types of cases defendant’s typically attempt to hide their impairment or use of drugs to police.